The Great Britain Band Wagon. 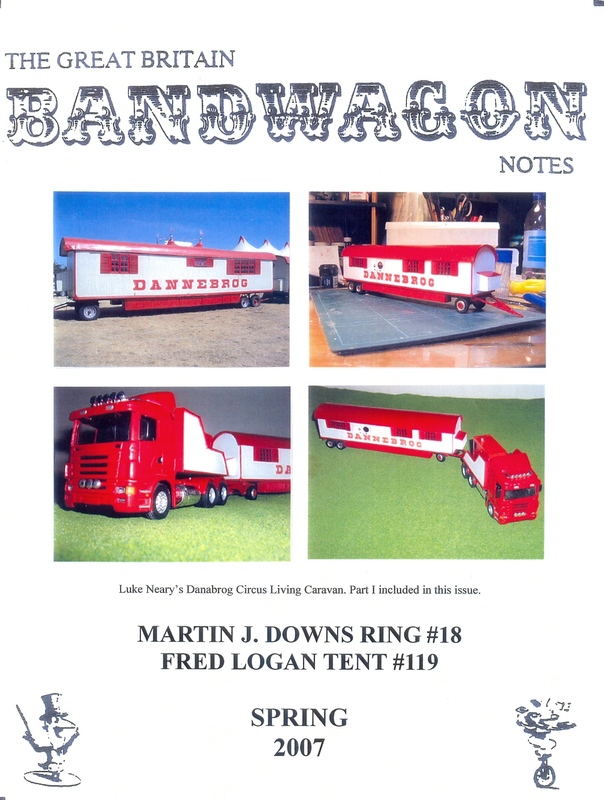 Welcome to the Martin Downs Ring #18 of the Circus Model Builders International. We are one of two rings in the Canadian Lot 7. Our ring serves mainly southern Ontario but we have members from all across Canada, Europe and the USA. Our aim in life is to help preserve the circus in all its' forms by building circus models and showing them in public. We actively display our miniature circuses and carnivals at every opportunity, especially at model train and hobby shows. Our meetings are often held at these shows but we also have more formal meetings at the homes of our members. The Martin Downs Ring publishes a very excellent newsletter every three months and this is included in your membership. 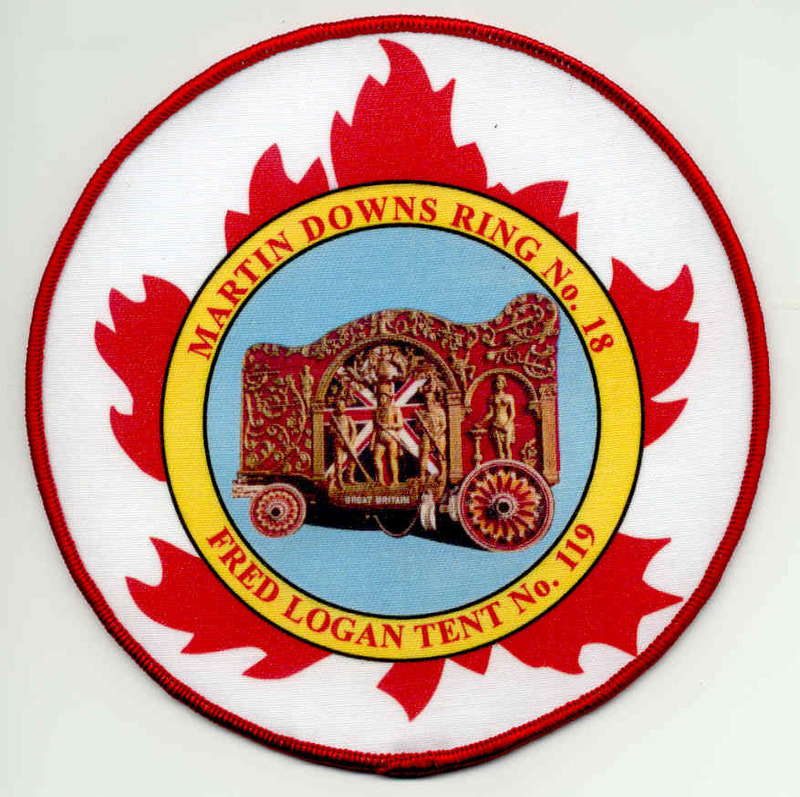 This ring is combined with the Fred Logan Tent #119 of the Circus Fans Association of America. It was another relatively busy year. We got off to a start with a meeting in January at the home of Al and Doris Ward in London. Then it was all quiet until June when for the fifth year in a row the ring displayed at the Paris (Ont.) Expo and Steam Show. 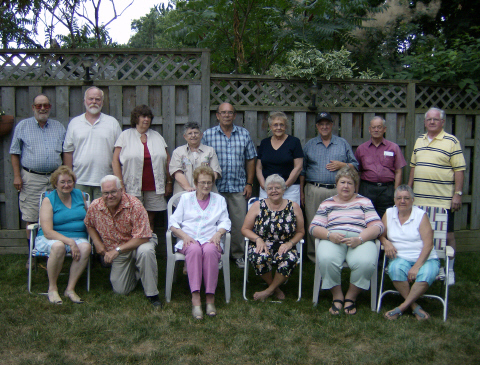 We had a first in July when thanks to Al Ward we exhibited at the Ilderton (Ont.) Steam and Antique Show. Ilderton is just slightly north of London, Ont. July 29 was the annual BBQ as usual held at the home of Al and Doris Ward in London. We did not do the Iron Horse Festival in St. Thomas due to the lack of a venue but we did do a one day show at the Elgin County Railroad Museum in St. Thomas. Labour Day weekend saw us at the Orangeville Fair for the second year in a row and at the end of September for the umpteenth time we did the Brampton Model Train Show. In November some members displayed at the Central New York Train Fair in Syracuse, NY and later in the month a few showed at the Toronto Christmas Train Show. In addition some members did independant shows at Bracebridge and Bolton Ont. as well as a few others. All in all another fairly busy year for the ring. Come out and see our marvelous miniatures and learn what the old time (and modern) circus looks like. Perhaps you too will get the fever and sawdust in your shoes and want to build your own big top. BUILD A MODEL CIRCUS TODAY! At Al Ward's house in London, Ont. July 29, 2007. Ilderton is just slightly north and west of London, Ont. Meet at 11AM at the FoodCourt. Bring your ID card.